Call of Duty is one of the most popular first-person shooter games on console and PC, and publisher Activision has now confirmed it’s coming to smartphones too in the shape of Call of Duty: Mobile. Call of Duty: Mobile will be a port of the multiplayer mode of the games, optimized for mobile, with a range of modes from the games including Team Deathmatch and Search and Destroy. Activision has confirmed that popular maps from the online shooter will be included, including Nuketown and Crash, and by the sounds of it every map in the game will be a port from other Call of Duty titles. What are the best mobile games to play on the go? 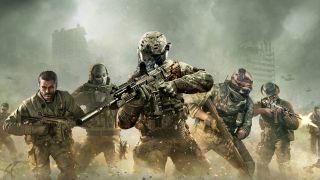 Interestingly, maps will be ported from both the Black Ops and Modern Warfare series, a rare instance of harmony between the two, and Activision has also confirmed that characters and weapons from both will be present in the game. However the mobile title will be a standalone entry in the Call of Duty franchise, not part of either series, and there’s no word on a single-player or zombies element to Call of Duty: Mobile. Activision has confirmed that the game will be free to play and will receive free updates, although like other rival mobile shooters PUBG Mobile and Fortnite paid skins could be made available. Pre-registration for the game is open now at the Call of Duty: Mobile website, where you can get updates on game’s upcoming public beta. Activision hasn’t confirmed an official release date yet, but with E3 2019 around the corner we could find out more soon – stay tuned for all the news and announcements from the event.